July 4th is quickly rounding the corner and I’m sure the LAST thing most of you think about doing to celebrate is going to Disneyland. But, to be honest with you it isn’t that bad! Why? Everyone’s so scared to go on 4th of July that when our Editor Jordie went last year with his friends, they experienced lines that maxed out only around 45-50 minutes! Not to mention that all Annual Passholders except the most expensive one (Premium) is blocked out. Then again, that might have been a once-in-a-lifetime ideal day, but nevertheless those who are patriotic enough to celebrate in a big way, the Disneyland Resort is open for business! At Disney California Adventure park, immediately prior to each “World of Color” performance, Paradise Pier will come to life with a patriotic spectacular in honor of our nation’s independence. 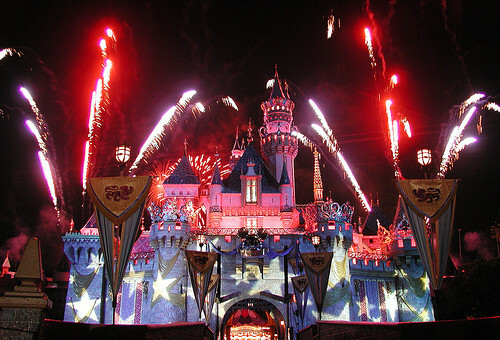 At Disneyland park, “Disney’s Celebrate America! A Fourth of July Concert in the Sky” will celebrate the land of the free and the home of the brave with patriotic music and colorful fireworks. Are you all going to celebrate the 4th at the Parks? It might certainly be the most magical time to go to the Parks!